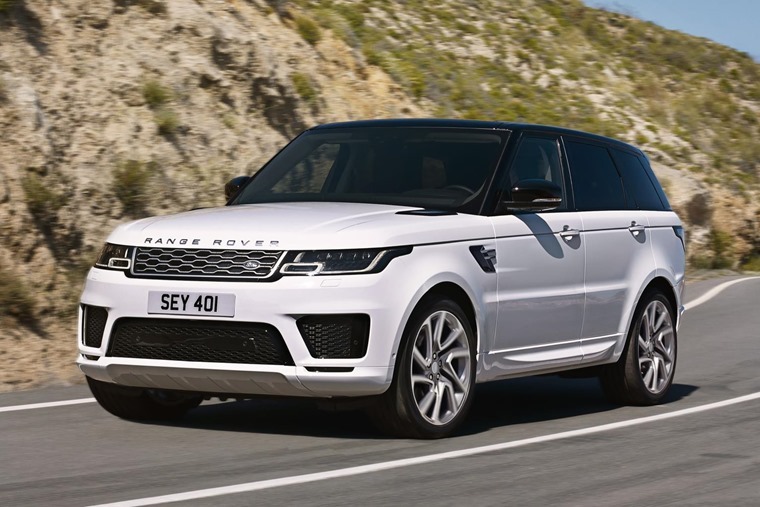 Following recent news that all Jaguar and Land Rover vehicles will have the option of electrification from 2020, Land Rover has revealed the refreshed Range Rover Sport will offer a plug-in hybrid model as well as a flagship SVR variant described as ‘the ultimate performance SUV’. With design changes, new powertrains and an overhaul of the interior, this mid-life facelift will continue the Sport’s reputation for offering an unrivalled mix of refinement and exhilarating performance when it is launched in 2018. 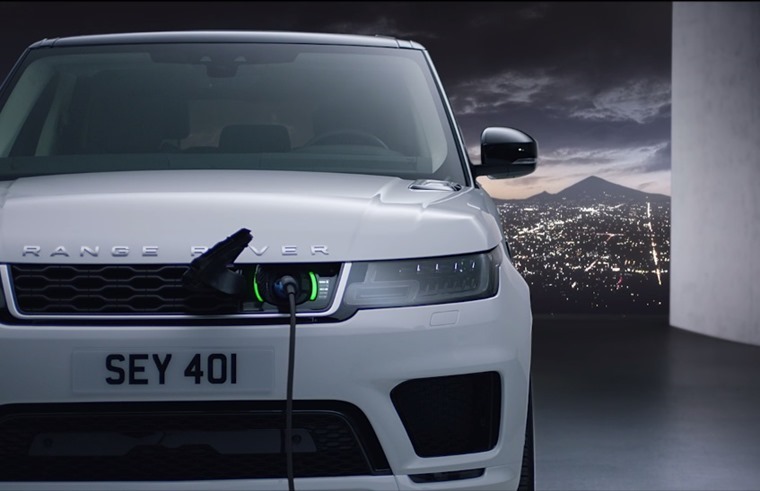 The latest Range Rover Sport is Jaguar Land Rover’s first plug-in hybrid electric vehicle. Badged P400e, the new model provides sustainable performance by combining a 300hp (221kW) 2.0-litre four-cylinder Ingenium petrol engine with an 85kW electric motor to deliver 0-60mph in only 6.3 seconds and a maximum speed of 137mph. With an impressive 640Nm of combined torque, the new powertrain mixes dynamic and sustainable performance with traditional Land Rover capability, comfort and refinement and offers an all-electric range of 31 miles without the petrol engine running. Thanks to its electrified powertrain, Range Rover Sport P400e emits only 64g/km on the NEDC cycle and for the first time Land Rover customers can experience zero-emission, near silent off-road luxury with uncompromised all-terrain capability. Land Rover’s Terrain Response 2 technology has a unique calibration to intelligently and precisely distribute torque from the electric motor, which has no creep speed and maximum torque from zero rpm, to all four wheels. 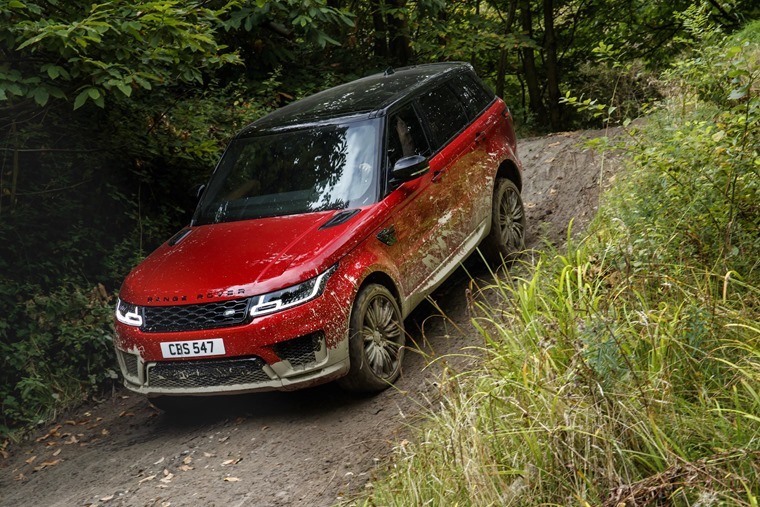 This gives greater control during low-speed off-road manoeuvres. 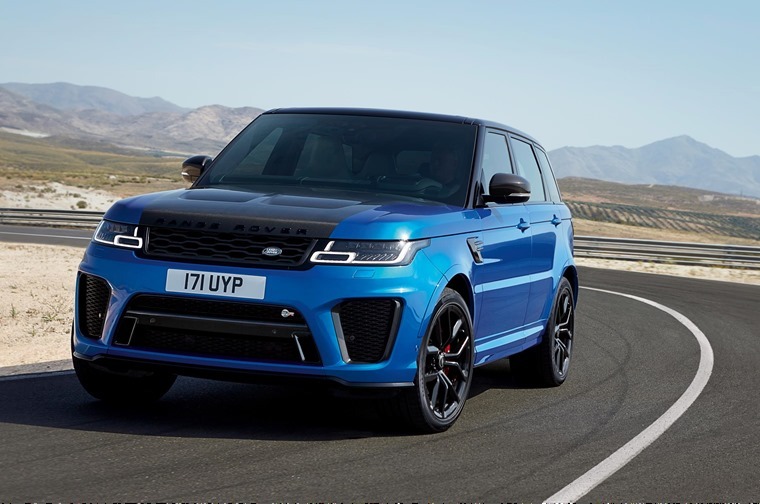 Those looking for the ultimate performance SUV will relish the potent new SVR derivative, which takes the Range Rover Sport into new territory. Power is up to 575hp, delivering the 0-60mph sprint in only 4.3 seconds, while bold design revisions and the increased use of carbon fibre construction make the new SVR more dramatic, faster and more agile than before. The latest enhancements deliver an SUV on another level of dynamic capability, with breadth of appeal and desirability like no other. With significant changes under the skin, the exterior has evolved to harmonise and modernise the design, making the Range Rover Sport look more dynamic without changing its essential character. At the front, the striking new design is enabled by intelligent Matrix Pixel LED headlights, sitting alongside a redesigned grille. This is complemented by a new bumper with a more aggressive profile. 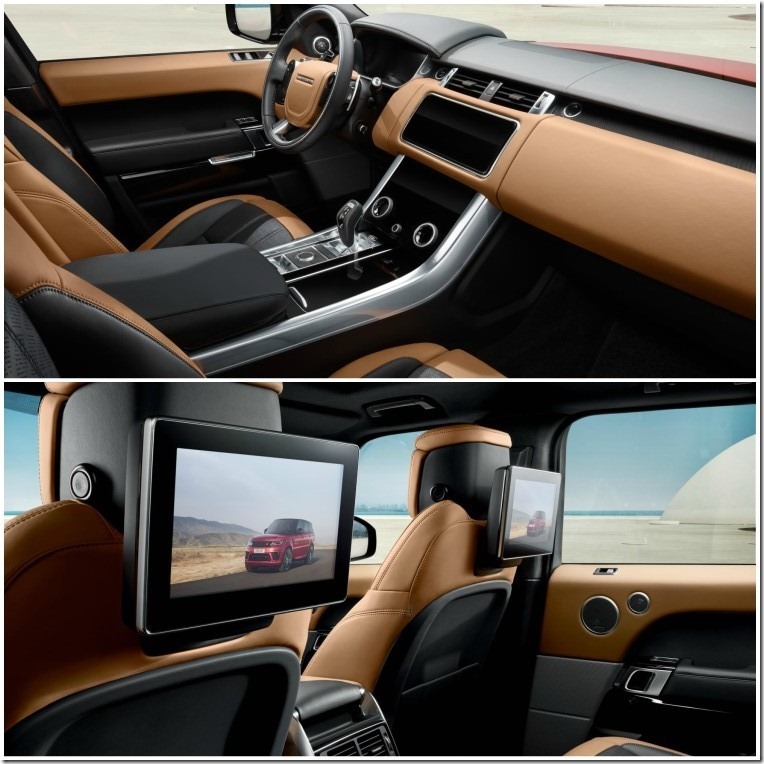 Inside the cabin, the new Touch Pro Duo infotainment system is the most advanced ever created by Jaguar Land Rover and is truly state-of-the-art. Two high-definition 10in touchscreens form the centrepiece of the minimalist cabin, blending a futuristic, elegant feel with an intuitive, engaging interface and unrivalled functionality. The introduction of the Jaguar Land Rover Activity Key also brings new levels of convenience to the Range Rover Sport, allowing customers to lock and unlock their vehicle without the need to carry a key fob – ideal for outdoor pursuits. Introduced last year, the new Range Rover Sport will also feature Advanced Tow Assist which takes care of the difficult counter-steering required to position trailers accurately when reversing. The driver can simply guide the trailer into the desired space using the rotary controller for the Terrain Response 2 system. The British-designed, engineered and Solihull-built Range Rover Sport has sold more than 732,000 since it went on sale in 2005. Deliveries will begin in early 2018 with OTR prices from £61,315.